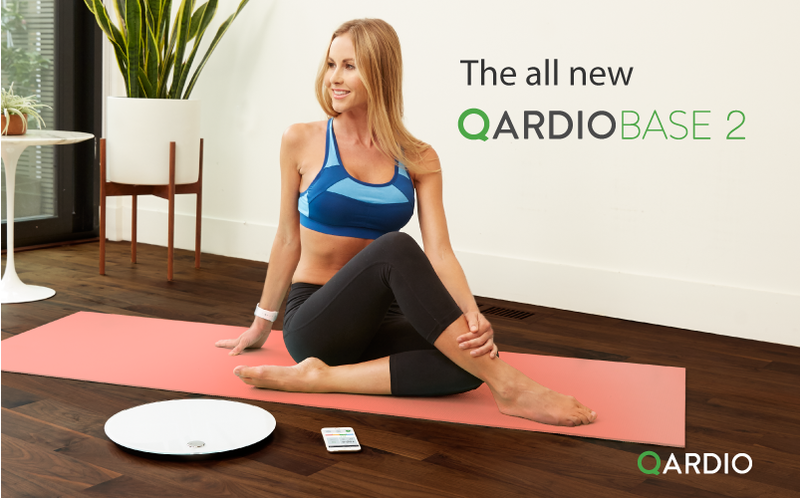 Today, Qardio has announced the launch of QardioBase 2, its second generation smart scale and body analyzer. The new edition brings an even more beautiful, friendlier and more effective solution for users to follow their journey to better health and wellness using easy charts, goals, and actionable insights. Qardio strongly values the voice of its customers, and the second generation evolution reflects heavily on what we learned from our community. QardioBase 2 enhances the signature “floating” design of the original QardioBase and now offers a wider base for added comfort and stability on any floor surface, even for people with large feet. An enhanced sensor system and new algorithms, based on several million measurements from the original QardioBase, give even greater accuracy and quicker readings. In addition, a new embedded rechargeable battery has been added that lasts up to 12 months with every charge. The screen is brighter and crisper, and there is a new haptic engine that gives a more defined vibration feedback with each measurement. Based on customer demand, Qardio is introducing a sleek new Volcanic Black color which will be offered along with the original Arctic White. QardioBase 2 retails for $149.99 USD, £129.99 GBP and €149.99 EUR. QardioBase 2 is available for sale in the US, UK and Continental Europe starting today. Availability in Canada, Australia and Hong Kong will commence on September 18th. QardioBase 2 will also be on display at IFA 2017 in Hall 4.2, at Booth 212. Anyone interested in setting up a demo can email media@getqardio.com. To purchase QardioBase 2, visit https://www.getqardio.com/qardiobase-smart-scale-iphone-android.